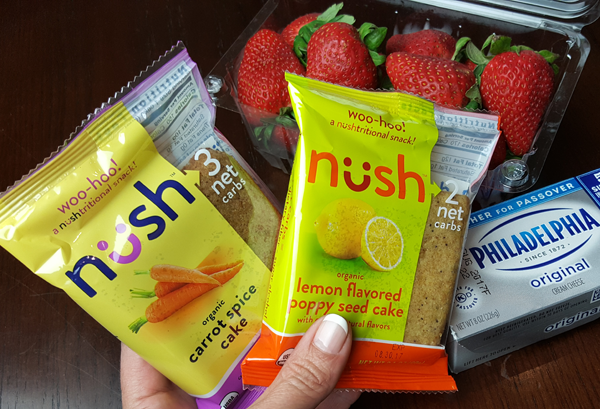 NUSH: Organic, Gluten Free Low Carb Cakes On The Go – In Four Fun Flavors! 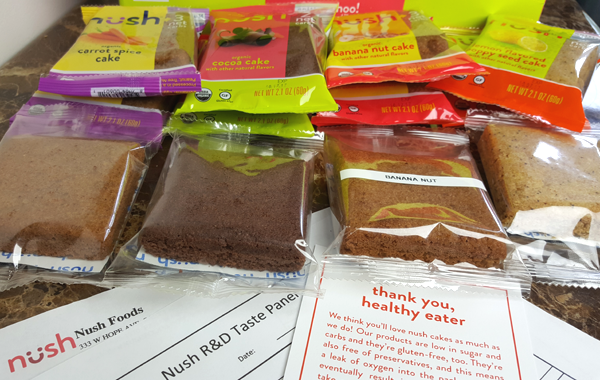 NUSH Foods has been a hot topic across the low carb communities ever since they were featured in the April Keto Krate Box. 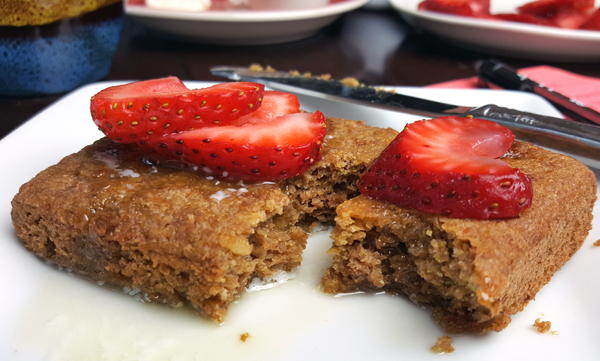 If you’re a Keto Krate subscriber, you probably got to try their Carrot Spice Cake – yes? 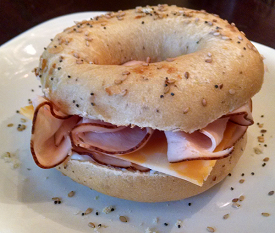 A Great Healthy Low Carb Snack On-the-Go! I especially love that they are individually packaged to grab ‘n go or for a quick snack when you need something low carb without any fuss. 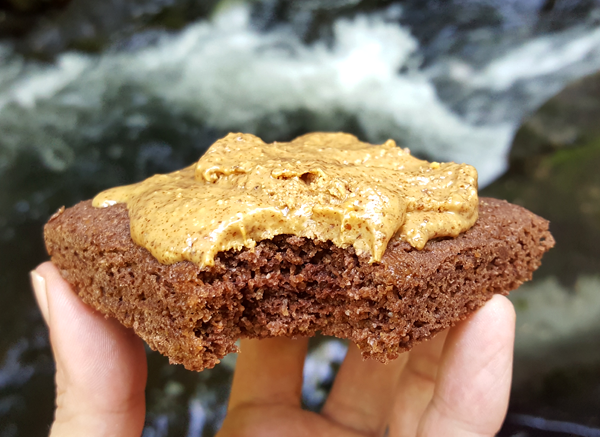 For example, I took the Cocoa Cake with me on a hike last weekend and enjoyed it with Almond Butter by the river. 🙂 Nice treat! Banana Nut NUSH Cake Ingredients: Water, Organic Flax Seed, Organic Erythritol, Organic Egg, Organic Banana, Organic Glycerin, Organic Walnuts, Organic Canola Oil, Natural Flavors, Leavening (Sodium Acid Pyrophosphate, Sodium Bicarbonate), Sea Salt, Organic Soy Lecithin, Organic Rosemary Extract. Contains: Egg, Walnuts, Soy Processed in a facility that also processes Egg, Peanut, Tree Nuts, and Soy. 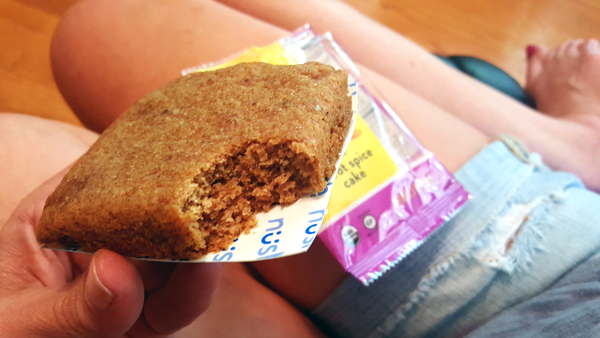 I first tried the NUSH Carrot Spice Cake when it came in a Keto Krate box, like many of you. I just ate it plain, straight out of the package, and really enjoyed the flavor. The texture is interesting though. Some people LOVE it, some people don’t. It has a bit of a grainy or gritty texture to it, so opinions on that were a hot topic. Speaking of, I also took these cakes on my trip to Orlando. It made for quick & easy meals and snacks on my road trip and in my hotel room! 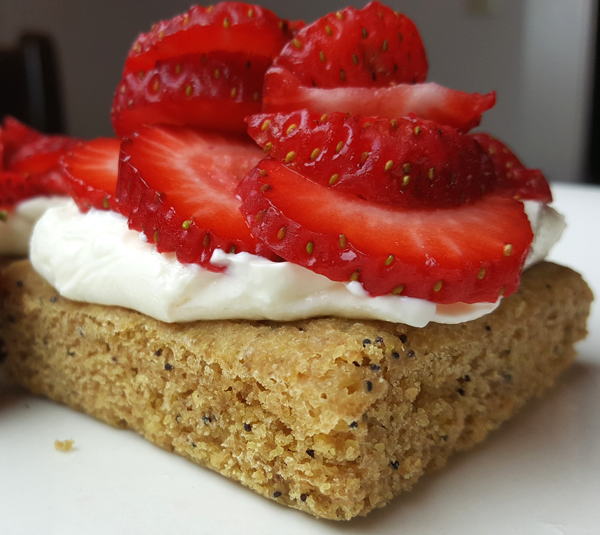 I did that with the NUSH Lemon Poppyseed Cake too (photo below) but I’m NOT a fan of “lemon poppyseed” flavor. Aaron LOVED that one though, so it’s just a taste preference. He says it has a nice tart lemon flavor and the poppyseeds are a great combo. My second favorite NUSH Foods Cakes are the Cocoa. I like the texture on the chocolate cakes better, they are less grainy than the others, and have a nice rich cocoa flavor. The best thing about them is that they are packaged to “grab & go” which is really nice when you just need something fast, or want to keep things on hand for those times you’re headed out the door – or stuck at your desk. They keep their shape too, so they were great to throw in the backpack for a hike. I mentioned they’re working on some new recipes, and possibly even new flavors. 😉 I got to participate in the R&D (research & development) taste panel last week, which was a lot of fun! This is a company you’ll want to keep an eye on, as they have a passion for creating a quality product people can ENJOY on a low carb lifestyle. 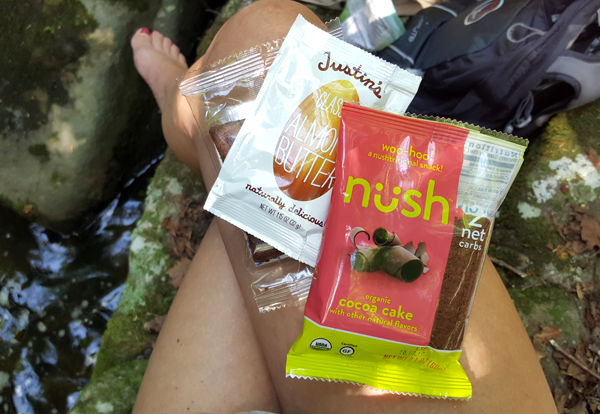 I really love that NUSH Foods Cakes are made with organic ingredients, gluten free and very low carb. I also really admire a company that supports the keto community, and love how friendly the people are that run this company. That goes a LONG way with me! I hope you enjoyed my candid review of these new NUSH Low Carb Cakes. Aaron agrees with me that they’re great for breakfast, and also for camping & hiking. They’re a good healthy, compact calorie-dense snack to enjoy – that you can easily turn into a meal. Plus it’s a “sweet treat” that’s very low in carbs! While it’s great to stick to whole foods, do meal prep, and mainly eat meat & greens + healthy fats… there are times you just need something quick & easy. And also times you WANT something like banana bread. 🙂 It’s nice to have options, and to be able to treat yourself now and then, while maintaining your low carb lifestyle. 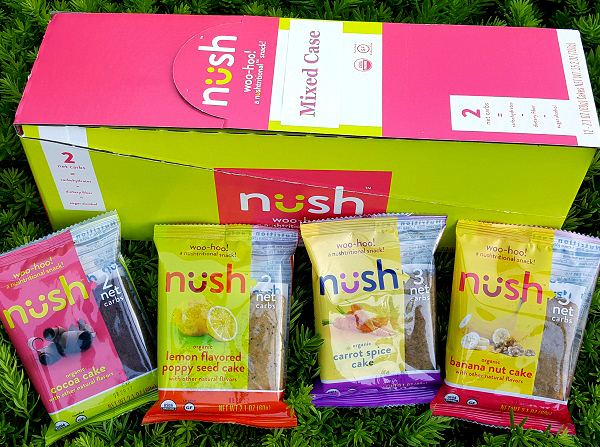 29 Responses to NUSH: Organic, Gluten Free Low Carb Cakes On The Go – In Four Fun Flavors! Good morning! You know I love your experimenting all the store products as the main reason for your site but I think you should consider the average person cannot afford the extravagant cost of these products. Yes, I know you get paid to represent the companies but you have to be realistic here. An extreme hit to the average income vs. homemade. Just a thought? Hi Joan 🙂 I agree with that. There’s also the issue that many of these products aren’t available outside the U.S. (yet). So yes, some of the great new products hitting the market aren’t for everyone – I get it. I realize too that not everyone can go hiking, or even exercise. 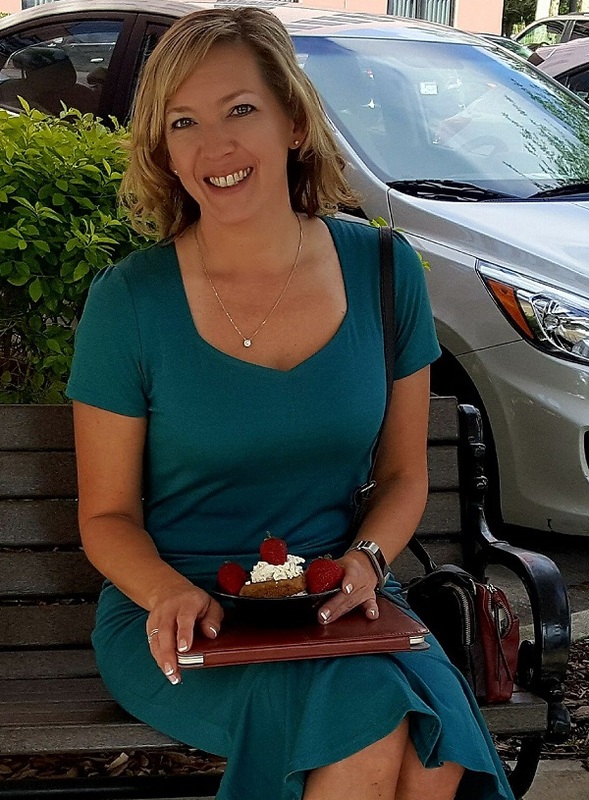 And most of my adventures are NOT something I recommend lol, but I do love sharing as much variety and inspiration and as many ideas as I can – all while trying out new things myself on my own health & weight loss journey. That would be great, Barbara. I know they’re experimenting with some new recipes. And I’ll pass that information along to them. 🙂 I wonder if they would hold their shape as well though. That IS one of the things I like about these cakes. I’ve packed them on two trips and two hikes so far and they don’t get squished or messy, which is nice. Been there…done that, many times. 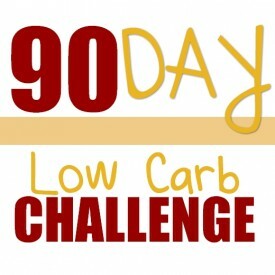 Ditto Gina – I threw out so many products the first year or two I was eating low carb. I’m SO glad there are new companies popping up with higher quality products, and especially companies that are more health conscious and using higher quality ingredients too. Price is an issue for most people, that and availability (outside the contiguous US). That’s one of the reasons I love Keto Krate so much. It always has these types of specialty products, which can be really expensive to order individually (usually only available in bulk) – and you get to try 6-9 new full sized products every month, so you get a lot of variety. I enjoy each flavor!!! My favorite is the banana nut, but all of them are really good to me. Thank you again for the link/discount! The canola oil and soy products used in these is why I would not buy or eat these. They are big no- no’s. I wish your review would mention that… even though labeled organic, these products are high in omega 6. 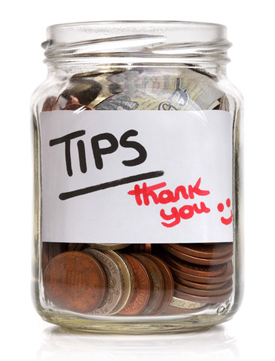 Since you are part of the research and development input, mentioning this would help sales. I am eating this way for my health. These are not healthy in my mind. I’m glad you brought that up, Rob. 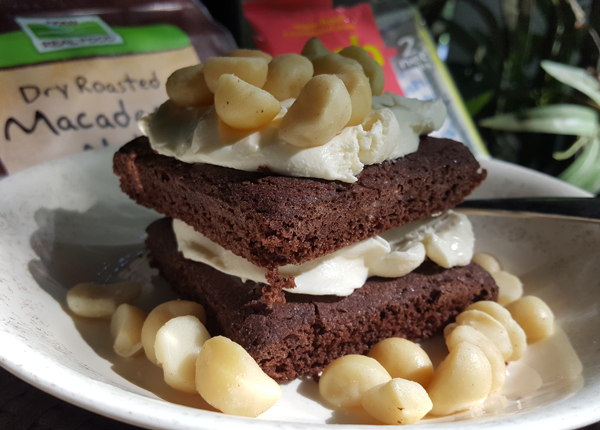 🙂 I did list the ingredients for one of the cakes (banana nut) for that reason. I am still learning about some of the different ingredients. Soy, for example – good or bad? Aaron brought that up too when we did the taste panel together. It’s an ingredient he avoids. I need to do more research on that to see why. Thanks again! just ordered the mixed pack Lynn!! thanks for bringing all these great ideas to us!! love following you and love your blogs!!!! You are an inspiration!! ok—I cured my sweet tooth. I blended about 8 strawberries with heavy whipping cream and a little bit of water because it was a little thick. I added a packet of sweetener. This was delicious and I am so happy. That sounds good, Amy! I didn’t realize for a long time that HWC is .4 carbs per tbsp (no matter what the label says) – so 7 carbs per cup. I’m not sure how much you used or what size your strawberries were, so I’m curious how the carb count came out for your dessert? Well I need to measure better tomorrow. The strawberries were small frozen ones. I think I found online where it says .44 small-.72 for medium. Cream was maybe half cup and packet of sweetener got me with 2 carbs. It was so delicious. I was hoping for around 10 net carbs. I was doing good on carbs today so it was fine. It made a little over half of a ninja blender cup. When I don’t have many carbs to spare I can cut back on strawberries and it should still be good. Thanks Lynn for the info and the discount code! Just ordered. Can’t wait to try them! Enjoy, Rhonda 🙂 Let me know YOUR favorite flavor when you get them! I love those two flavor suggestions! 🙂 YES!! Hi Lynn! 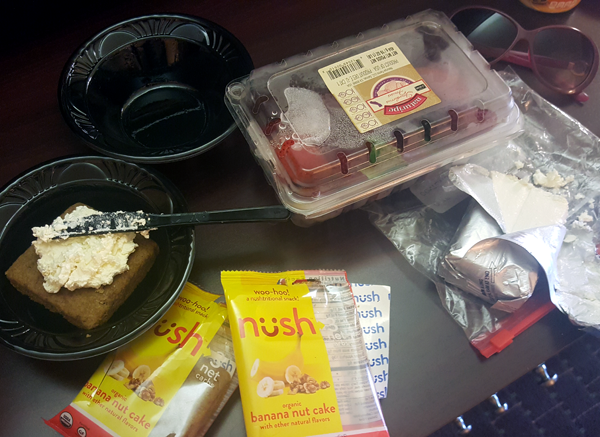 Follow up to my mixed order of NUSH– I love the banana nut..my very fav and ordering again tonight!! Lemon poppyseed.. my least fave.. the others are ok… would love to have a blueberry 🙂 I spread cream cheese on the banana nut and micro 20 sec..yummy!!! thanks for finding all these really great things for us!! and don’t get me started on pili nuts.. wowsa.. delish and ordering again!!! (coconut/ sea salt and cacao are my favs) and best of all.. no negative effect on my blue sugars!!! no spikes at all!! thanks again!! I love the Pili Nuts too. 🙂 So glad you are enjoying some of these delicious low carb food options! I’m going to email them now and suggest that Blueberry flavor. YUM! 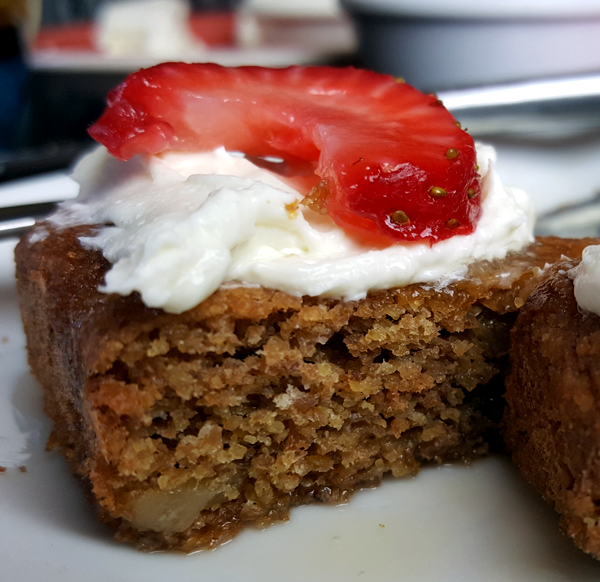 Update: These organic, gluten free low carb cakes are now on Netrition in all four flavors! See: http://www.netrition.com/cgi/goto.cgi?pid=1088-0003&aid=3558 🙂 Enjoy! I just received these Nush cakes. Do they need to be refrigerated or frozen, like the smart cakes do? It doesn’t say either way on the packages, so I’m assuming they don’t need to be, but just wanted to check. I remember these from April Keto box, and couldn’t remember the name, it was soooo good. I’m going to order however what is the discount code? Hi JoAnn 🙂 You can get them on Netrition in all four flavors at: http://www.netrition.com/cgi/goto.cgi?pid=1088-0003&aid=3558 but there isn’t a discount code. BUT you can order single cakes instead of a whole pack of just one flavor, which means you can mix & match. 🙂 Enjoy! !